THE GENTLE WAY II: Stephen wrote: “For me, Book of the Year: If there were 5 more stars I would have chosen them also. For me, this was the book of the year. The more I ask it in the more I get. BOOKS ON SALE!! What better time to purchase one of my books! Not only do many of you have Gift Cards that have to be used, but ALL my books are on sale at 35% OFF for single books and 50% OFF for six books or more until January 15 if you buy directly from my publisher at www.lighttechnology.com!! Use WINTER2016 when checking out. Or you can call 1-800-450-0985 or 1-928-526-1345. They are on Arizona time. Another video recording of a talk I did just this last November for the Satori group in Ft. Worth, Texas has just been posted on Youtube by Daniel Alan Jones. The first 17 minutes of the talk (this section on Telepathy) can be found at Click here. Jen writes: I recently visited Mt. Shasta and feel that call to move there. Could you ask Gaia about the future of the Shasta-Cascade region of California? Are any volcanic eruptions or large earthquakes planned there in the next 50 years or so? If so, what is the probability that Shasta Dam will remain intact? I felt an energetic connection between Mt. Shasta and Mt. Eddy across from it. Could you ask Gaia what they do together? I also did not realize that Shasta has a twin peak attached to it named Shastina. Does Shastina perform the same energetic activity that Shasta does in terms of drawing in energy and distributing it to the rest of the mountains on the planet or does it have a separate function? Gaia, what does Mt. Shasta, Mt. Eddy and Mt. Shastina do together, and are they the same soul? Yes, they all have the same soul, Tom, as I have mentioned before souls are capable of manning shall we say whole mountain ranges. These are not soul fragments as you are, but very powerful whole souls, therefore this is well within their capabilities. Yes the soul for these Mountains reminds me to tell you it is a lot of work as there is much to do as they have many tasks both on the exterior and interior of these mountain ranges. In this case, the three mountains, which are extinct volcanoes required great work, and were molded to be a power center for all eternity. They form sort of a triangle, and anyone that visits them can feel this energy if they will relax and meditate. This energy can heighten a person’s meditation should they choose. As you have been told before, the Lemurians, as they have been called, reside within Mt. Shasta in their city called Telos, existing at slightly a higher level than you do. Their leader sends his love to you now. On the surface, these mountains are beautiful, but they are so much more than that. Much more will be learned in the future about their energies. We must leave something to learn both geographically and metaphysically. That was an interesting response, as both the soul of the mountains and Adama, the leader of Telos also contributed. I have a whole chapter in the ATLANTIS & LEMURIA book about them. Ramona writes from Germany: Two days ago I saw some very exciting news on the internet I had not really expected quite soon after your answers from the last times: I’m talking about Campania and the Campi Flegrei. Scientists are closely observing them and say there is no danger right now. But on the other hand in the last few days in many different papers the issue of the Super volcano Campi Flegrei is dealt with. It is even said that the earthquake of Amatrice might have risen the probability for Campi Flegrei, but Gaia said the impact was little. Gaia also said that most of the Magma that is built in that area she lets come out through Mt. Etna, but is there also built more in the Campi Flegrei? What is the probability for a large eruption of those fields within the next 10 years? An eruption that might affect nearly whole Europe? They are a Super volcanoes just like Yellowstone. You said Mt. Vesuvius and Yellowstone are linked. Scientists say, Mt. Vesuvius and Campi Flegrei are linked. So are the two Super volcanoes also linked together? And what would that mean? Thanks for all you do! What you are contributing to society is really unique! Theo, how many previous lives did Jesus have as preparation for his main life? Not too many Tom. Just enough to get the lay of the land. So use the number three. Did he have the same large soul fragment inhabiting those other bodies? Kumru in Turkey writes: Hello Tom, there is a great amount of darkness over Turkey, there has been great turmoil with governing and economy and today a light worker was shot. Her name is Beki Ikala Erikli. She was a well-known author of angels and brought big consciousness to a lot of spiritual people, she was shot by a woman. Could you please ask Gaia or Theo or Antura what is going on and when will be the sufferings end in Turkey and Syria too. Thank you so much for your work and being here for us. Theo, what was the soul contract of Beki Ikala Erikli, who was shot in Turkey? Beki was a shining light there in a very troubled country. But as she was a younger soul, she, like you have many times, died for her beliefs. She will have more lives shining the light to peace, but she was also balancing past actions in this life. What is the highest probability for how many more years of strife will there be in Turkey and Syria? Gaia, when you ensouled the asteroid for those millions of years, weren’t you also sending out fragments of yourself perhaps all over the universe or at least this galaxy for learning? Quite so, Tom. I knew you would one day make the connection. The asteroid was my home you may call it—something to anchor me during those times, but I did also had fragments of myself going to other planets to learn and study to prepare me for this job. And yes the Creator knew long before I had any inkling that one day I would be overseeing the operations of this planet. For my new readers Antura is my soul “brother on another planet” as we are fragments of the same soul. He’s already had 800 lives on Earth, and he will return here in his capacity as part of a “first contact” team sometime around early October. That’s when the fun begins. He’ll be on a large mothership with a crew and their families totaling 1,500 beings, representing 37 planets—some with multiple types of beings. You can read much more about Antura and his water world planet (he’s an amphibian), the Sirius B Star System with over 20 planets, and the universe in my book FIRST CONTACT: Conversations with an ET. Here are more questions this week. Jen writes: Since our planet is the only one with the diversity of food that we have, are there any other societies that have cooking shows and cooking competitions? For that matter, is reality TV unique to Earth? Are people on other societies watching documentaries about the Earth experiment? Antura, are there any documentaries that other societies watch about Earth? Yes, but not with the same structure as your documentaries. They will watch specific topics according to their interests. Then there are those of us who have to prepare for these trips or missions as you call them that must delve quite deeply in all sorts of records and displays in order to prepare ourselves for the complex world that is part of the Earth Experiment. Do any of the societies have cooking shows? Some might, but the really sophisticated worlds there is no need. Everything is available at a moment’s notice. Antura, how many planets are under the protection of the Lyrans and Vegans, and why isn’t this Federation under their protection? It is a simple yet complex answer. It was as if you turned to your grandchildren and said millions of years ago “You’re on your own.” But there were other planets that were part of your group we will call it that remained under your care or protection. 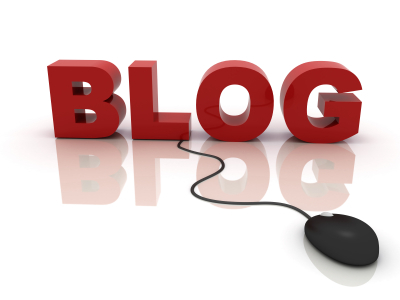 Luigi in Italy writes: Could you ask your guides the main differences between Arcturians, Cassiopeans and Pleiadians, (maybe as an add-on even Sirians) in regards to technological, spiritual, socio-political and cultural developments? Thanks in advance. Antura, what would you say are the major differences between the Arcturians and Pleiadians? Keep in mind Tom that each society has multiple planets, so therefore we could have a discussion about these differences for hours, as of course there are differences even between planets in each star system. Suffice to say that the Arcturians are known for their mathematical abilities in all forms, and the Pleiadians have a completely different temperament – more general. We will touch more on these differences when you meet them, but read more about what other people have channeled and we can discuss those to see if they are correct or not. How long will this mission be in universal days? In your time frame where you count 30 days as a month it will be six months. This is quite a long mission, as there is so much to do. Normally our missions are much shorter. This is a complex mission compared to others. Speaking of other missions, how many have you been on besides the one to the desert planet and to the other universe you have spoken about before? I’ve been on quite a number in my time. Let’s use that figure you are thinking—50. That would be fairly correct. If you recall and I know you do so this is for your readers, I’m around 450 universal years old. Still considered quite young in terms of our life spans. Would it be more than 50? 1.) Is it true that the federation disarmed all nuclear weapons as early as the 50's or 60's and since that time, no nuclear weapons are functional? Follow-up question. Did the federation remove all star wars type weapons from earth's orbit permanently? 2.) If we are in 5D now, or are close to it, why is there still so much violence and hate? I thought this dimension was an expression of the Christ Consciousness where all would live in brotherhood. Are there different levels of 5D, such as octaves? What level of 5D do you reside? Antura, what level of 5D are you? Somewhat higher, but as you have been told in the past, most of the other parts of the universe are at around 5.3 to 5.4, so use that figure. Have ET’s disarmed all the nuclear weapons in the world? No that would be in violation of the Earth Directive to let you “sink or swim” I believe is the term you use. I like that one, as you can imagine [keep in mind he’s an amphibian]. But as you were told before, if someone was planning to set one off we probably would notify someone who could prevent it. Have you removed any Star Wars weapons that might have been in Earth’s orbit? There were or are none left over from those days. When you visit a planet, do you normally make prior contact? Yes and no. It all depends upon the planet and whether we feel prior contact is needed. As we are normally contacting societies that are thousands of years from being sophisticated societies, prior contact is not needed. Aravind writes: Can a "portal-hop", as Antura mentioned in the last newsletter, occur with and without a spaceship? Antura, can an Extra Terrestrial person portal hop without a spaceship? No, in a 3d or 5d dimension, this is not possible. If they do, they would not ever drop down to this focus. Ann writes from Las Vegas: While I was visiting friends, I took my dog out for an evening walk on Christmas Eve. I noticed 4 lights/balls far above me, and I wrote them off as some sort of seasonal lights. But then they followed me down the road. They had a geometric pattern that they kept up, going out and then coming back into a trapezoidal shape. Can you ask Theo who/what that was? I set intentions for Vegas experiences when I moved here. I think they were too high up to be orbs that respond to our energy, but that is only a guess. Antura, what did Ann see in Las Vegas that appeared as a trapezoid of lights? Yes, she was being studied, Tom by those from her home planet. Normally people do not notice such things, but she is quite perceptive. She was not in any danger whatsoever, and they thought she would wonder and ask you. DH (Dear Husband) and I do not exchange Christmas gifts. In fact we do very little gift giving during the season that is supposed to be jolly but very often is the most stressful time of year. Usually we find someone who can use a little help or donate to an organization that speaks to us. This year I decided to assemble bags of warm and fuzzy love for homeless people. The bags would contain scarves, socks, gloves, beanies, Chap Stick, toothbrush, soap and all sorts of goodies. I am a member of a small group of big hearted friends who meet monthly. So as I am gathering up warm and fuzzy gifts I suggest to the group that anyone who would like to help stuff the bags and perhaps contribute to the bags could do so at our monthly meet that was a week ago today. On Sunday. Well, holy moly. We stuffed the bags and had enough warm and fuzzies to stuff at least a dozen more. 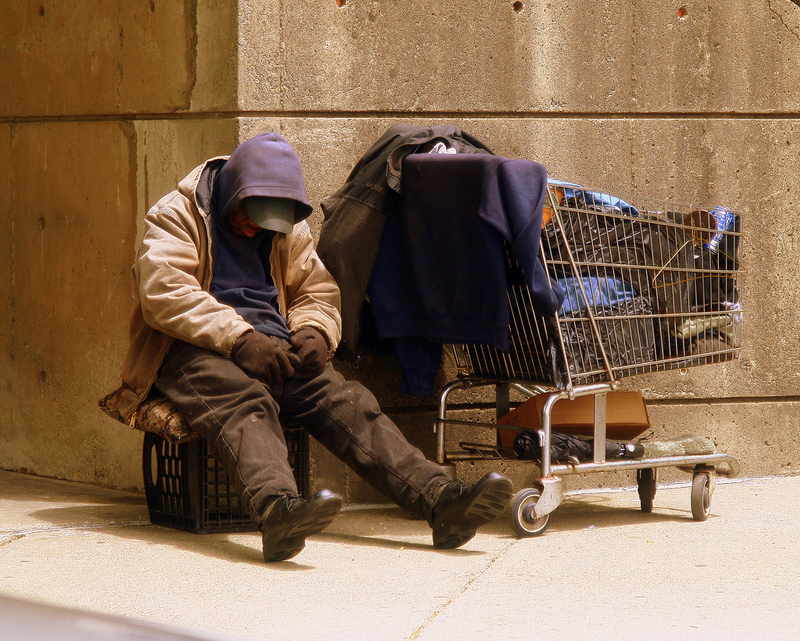 Now, you may not know this but socks are the most requested item for the homeless. We had 104 pairs of socks donated. This is a fun lovin', love livin', livin' love, big heart givin' little group. So my idea was for us to carry the bags around in our vehicles and when we saw someone that could use a little warm and fuzzy love we would hand them a bag. I brought some of the bags plus all the extra socks, gloves etc. home with me. Wednesday the day after the Tuesday when we decide to take a road trip- DH remembers he has a doctor’s appointment scheduled during the time we will be on the road trip. Wednesday afternoon- the nurse calls and gives DH an appointment for 9:00 am Thursday. DH tells me. I say I can't go that early. You know I have stuff to do. Coffee, meditation, reading. Important stuff. He calls and changes the appointment to 11:15 am Thursday. So now I have time for my important stuff. Wednesday evening- I think about the extras and wonder what to do what to do what to do. What I do when I don't know what to do is request A Most Benevolent Outcome. That would be asking and letting go. Thursday morning- we are on the road to go to the doctor and we see a young man with a bedroll on his back, walking bent over facing a bitter cold wind. As I drive pass him I remember I have one of the warm fuzzy bags in the car. I make a U turn, roll down DH's window and DH hands the young man the bag, saying "merry Christmas". The boy looks surprised and says "bless you". And we are on our way. When I talk to Evan he is just giddy with joy. He said last year he gave his son a hover board for Christmas and he will never forget the joy he saw in his son's eyes. He said "when you said you had socks, I felt the joy I saw in my sons eyes last Christmas". It just so happens Evan ----works in a neighboring town---- at a bank---- in a shopping center---- where I was going to be on Friday morning. Can it get any better? Well, yeah, it can and does. I'm telling my new old friends about how this has worked out in so many ways. If just one of the events had not happened the story would have been so different. The change in the doctor’s appointment, seeing the young man in the cold, you the people showing up with the info needed. Wow! It led to much sharing and testifying and following your heart and believing and answers to prayer. Whew! One young lady told us about her grandmother being ill. The gentleman sitting next to her said a prayer for the grandmother while holding the girl by the hand. As people were called in to see the doctor, there was good byes and merry Christmases and I'll be praying for you. You know, what you say to friends as you are parting. If a band had started playing and a chorus starting singing I don't think anyone would have been surprised. I'm not sure we would have noticed because we had our own celebratin' goin' on. The biggest miracle of all, a doctor’s waiting room was a holly jolly place. Full of love and good will. Laughing and sharing and well...just a whole lot of being love. You know, what we really are when we aren't afraid of being who we really are. If I hadn't seen it I wouldn't believe it. There just had to be some healing happenin'. If it can happen there it can happen anywhere. And it does. Ask for it. Look for it. You'll find it. On last Monday I had a huge migraine I requested an MBO to be healed body mine and spirit so that my headache goes away divinely and my mum said this as a BP. Needless to say my migraine was gone within less 15 minutes without any pain killers. Raymond in Arlington Texas writes: Thanks for the questions on Stonehenge. Every time I read something about it, there is always something new. 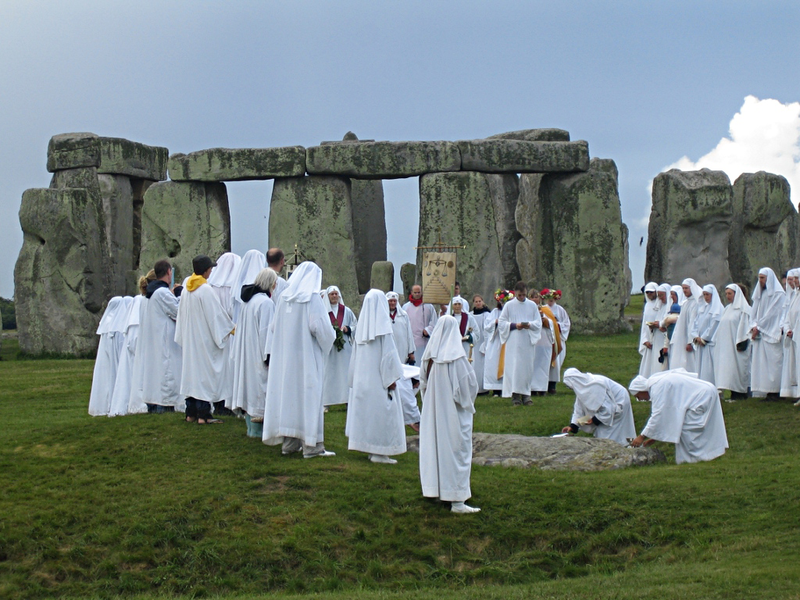 Gaia said that when the Druids moved the stones for Stonehenge, it was accomplished with group chanting. Could that same sound wave be duplicated with a machine if you traveled up and down a musical scale? I wonder if something else was used in conjunction with the chanting. Did Stonehenge create 'free energy' in addition to allowing the Druids to get 'closer to God’? Was getting closer to God a figure of speech for meditation and another way for the Druids to reach their Guides and Angels, or was it something beyond that? Gaia, can a machine duplicate the sound wave used to move the stones at Stonehenge? No Tom, this has to be chanted by humans. A machine cannot duplicate the energy created by humans. All it can duplicate is the sound wave. No, but a good guess by your reader. It generates another energy, which we will not discuss at this time. Let’s give scientists something to work towards. What was meant by the term “Closer to God” in relation to them. They found it did heighten their energy as they could feel this upon entering the circle of stones. Were they able to utilize this energy for healing? Again you have a powerful energy, so yes it would heal the sick. 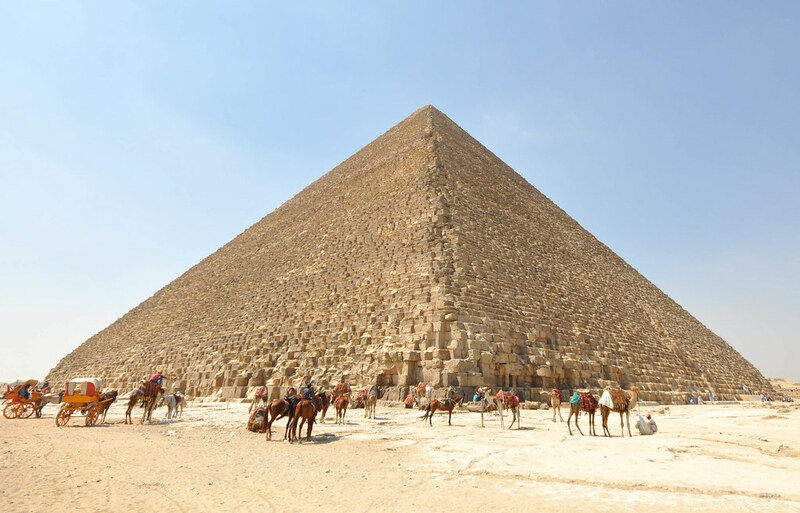 Did the Egyptians use the same chanting to move the pyramid stones, and if so, how long did it take them to build the pyramids at Giza? The Egyptians did use this same form of chanting given to them by the ET’s. It took obviously many years. They had thousands of more men, women, and children to perform this job; therefore each of the three took about fifty years to cut, transport and lay these stones. Raymond also writes: Tens of thousands of people from different nations have spent time in Antarctica. I wonder what they know that we don't and why they think it is so dangerous that they won't release what they have learned. Gaia, are governments hiding anything or knowledge about Antarctica? No Tom. There is much speculation, but these are died-in-the-wool scientists and yes the politicians and government officials that visit there are interested in climate change. Cassidy writes: I'm curious about the story of Samson and Delilah. Did they actually live? Was he a giant? Was he as strong as the Bible story says he was? I see a similarity between him and Hercules, is there any? Gaia, was the story of Samson and Delilah mostly true, and if so was he a giant? There is quite a bit of embellishment of this story over the years, but he was a real person with quite long hair for a man. He was muscular and larger than the average man, but not a giant such as the one slain by the rock. The part about bringing down the city was an embellishment. I think we should leave the story there, as it is one of the favorite stories in the Old Testament. This story occurred several thousand years ago, so you can imagine how it changed over the years from a muscular man to a giant and bringing down the city. Gaia, I heard the Dalai Lama say in an interview that he rises every day at 3:00 am to meditate for several hours. I would assume there is much more than just sitting there in a meditative state. Quite so, Tom, but explaining to everyone that he is in contact with many souls all over the world would be considered “too far out.” He also has conversations with his GA and other entities such as myself, as part of his duties.